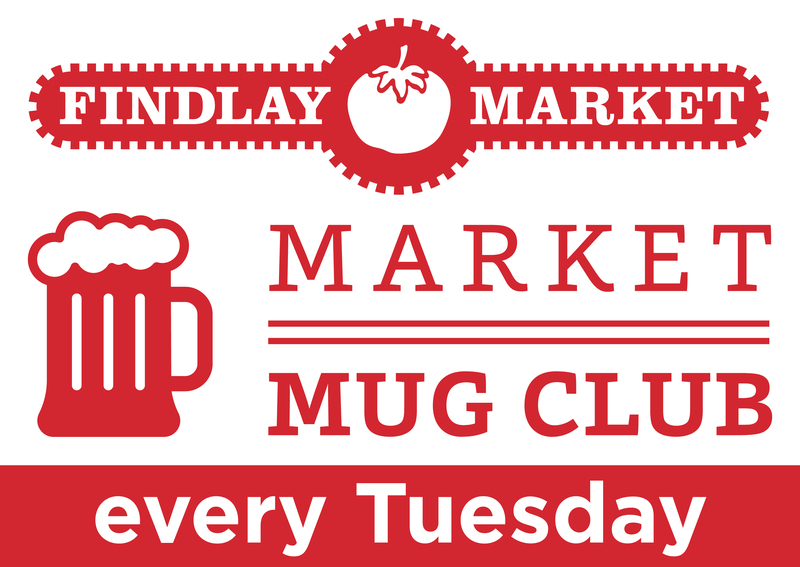 Purchase a 2019 Findlay Market Biergarten mug and receive a free beer with purchase and $1 off all draft beers from 4-8pm every Tuesday all season long whenever you present your mug. Additionally, you can bring your mug during Happy Hour from 4-6pm, and receive a $1 off your draft during the week. We'll certainly cheers to that! Mugs are $7 and can be purchased at the Biergarten Bar or at the Market Center during open hours. Christian Moerlein Brewing Co. will always be on tap, along with a rotating lineup of local breweries in our 2019 Craft Beer Series. Findlay Market Biergarten Programming generously sponsored by Queen City Hemp.